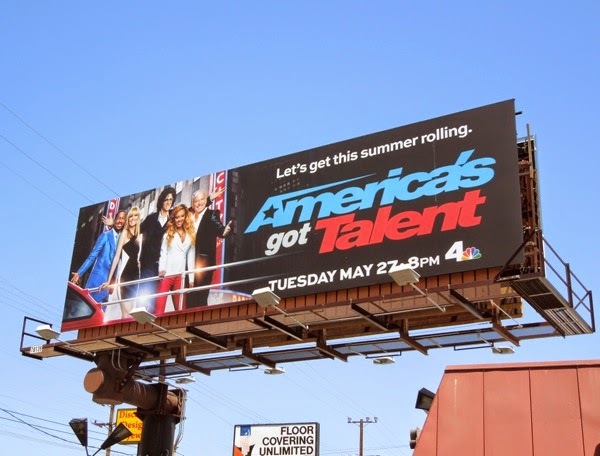 America's Got Talent is back for a ninth season and the question that must be asked is, does the U.S. have enough hidden stars to keep the reality competition format alive and well with the advent of YouTube and social media fame, or like American Idol has it overstayed its welcome. Fortunately the talent show doesn't rely solely on singers to provide the entertainment, instead it features an eclectic selection of dancers, comedians, magicians and amateur performers of all ages, with groups in addition to individuals auditioning, with the hope of winning the grand prize and a chance at stardom. 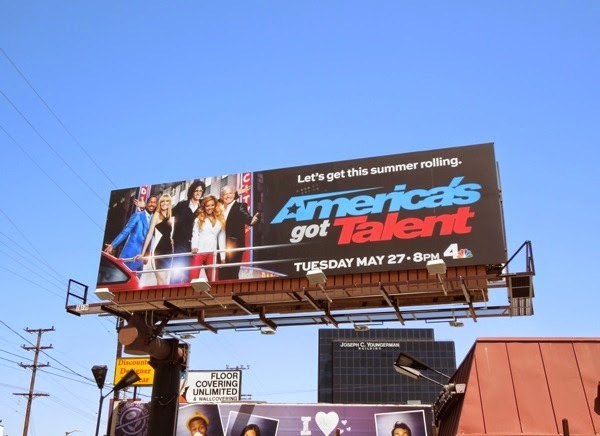 This season nine billboard featuring the returning judges Heidi Klum, Howard Stern, Mel B and Howie Mandel, along with host Nick Cannon, was snapped along La Cienega Boulevard at 3rd Street on May 12, 2014. 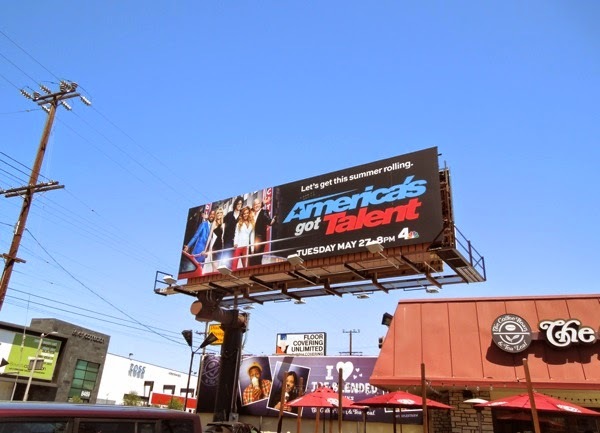 If you're a fan of the reality talent show, be sure to check out these previous season billboards for America's Got Talent, here at Daily Billboard. Time to get the Summer rolling, let's hope it'll be worth staying tuned. 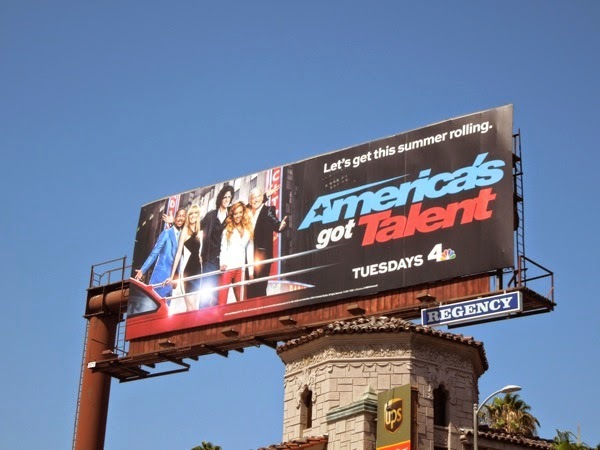 UPDATED: Here's another example of the ninth season billboard along L.A.'s infamous Sunset Boulevard on June 29, 2014.